Sunday the 11th of September marks the opening day of One Man in His Time, a highly anticipated exhibition being opened at the Jewish Museum of Australia. Multi-award winning artist Hedy Ritterman unpacks the life of her late husband through a fascinated display of hundreds of his possessions. Later that night, Memo Music Hall brings the laughs with the one-night-only Jewish Comedy Festival. The National Theatre is at its usual best this September, showcasing the best theatre St Kilda has to offer. Exposing Edith, showing September 18, is a fascinating and decorated production charting the tragic life of Edith Piaf, one of France’s greatest ever singers. On September 23, Larry Paradiseo & The Fabulous Dame Farrar take the stage in a one-woman cabaret smash. The following night, September 24, sees cabaret songstress Anya Anastasia perform in her production Torte E Mort: Songs of Cake and Death. 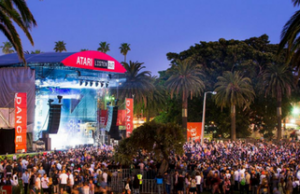 Luna Park begins its September school holidays program this month and popular music festival Listen Out sets up in Catani Gardens on September 24. Early in the month, on October 9, Linden New Art hosts their regular Adult Crafternoon with this session focussing on pet portraits. St Kilda will be the place to be on the weekend of October 15 and 16 with Oktoberfest filling up the South Beach Reserve. On this same weekend, keep an eye out for the Melbourne Marathon runners crossing through St Kilda. Get ready for the ultimate three-on-three competition with the final of the Red Bull Reign coming to the St Kilda Triangle on October 22. The Red Bull Reign is a national basketball event played in teams of three, and this year, St Kilda sport lovers will be excited to see the grand final being played by the bay where the next Red Bull Reign National Champions will be crowned. 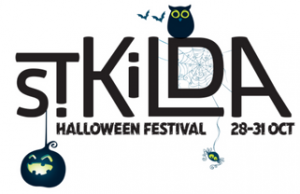 Be prepared to be spooked at the end of the month with the St Kilda Halloween Festival hitting the streets! ‘Spooktober’ begins on the 28th where brave punters can tour Haunted Manor and the Asylum haunted houses. The following day, Luna Park transforms into ‘Luna Dark’ for a weekend full of freaky and creepy delights! To finish the Halloween weekend off with a bang, Acland Street and Fitzroy Street will come alive on the 31st with roving performers, an outdoor cinema, face painting, trick-or-treating, live music and more! A celebration of Indonesian culture, cuisine, music and dance is being had on November 9 at South Beach Reserve. Join in the fun at the Wonderful Indonesian Festival and Travel Fair with cooking demos, dance performances and live music. Fitness fanatics will be glad to see a summer of activity coming up, starting with the Beach Bash hitting Catani Gardens on November 13. Race against your mates in a one-of-a-kind beach obstacle course which is sure to challenge young and old. 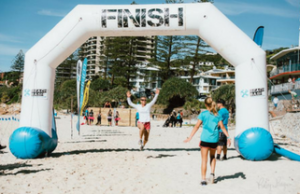 On November 20, watch the City2Sea runners charge their way to the finish line in Catani Gardens, or register as a runner yourself. As usual, there are a number of regular events happening in St Kilda throughout the season. 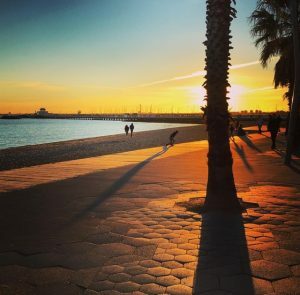 Of course, the St Kilda Esplanade Market takes its regular place by the bay every Sunday where shoppers can enjoy the morning sun and browse specialty food, art and unique creations for the home. Spanish pintxos bar Lona is encouraging everyone to give their vocal cords a warm up during their Open Mic Night, full of live music and good times. St Hotel gets the weekend party started every Friday night with RnB Fridays, playing everyone’s favourite old-school RnB tunes. ents that St Kilda has to offer. You’ll be sure to find something to suit every member of the family this spring.